Jul.24.2015Drag School Back to St. Louis in September! Frank Hawley’s Drag Racing School will be back at Gateway Motorsports Park September 15-17, 2015. Thanks to “Tropical Storm Bill” our June classes had to be rescheduled, however this will give more folks a chance to get signed up. The school will be offering the Super Comp and Super Gas NHRA licensing programs on September 15-16 as well as the hugely popular Dragster Adventure program on September 17. The school dates fall right in the middle of a tremendous amount of drag racing activity at Gateway which includes the build-up to Hot Rod Drag Week Sept. 13-18 and the AAA Insurance NHRA Midwest Nationals on Sept. 25-27. “It’s going to be a great time for drag race fans at Gateway and we’re excited that our school will be a part of the festivities,” said school founder Frank Hawley. “Folks can come out to Gateway and get their competition license in a 160 mph dragster or door car or they can compete in ‘side-by-side dragster racing in the Dragster Adventure. Our school is the only place where any one with a driver’s license can compete in ‘side-by-side’ racing like this.” Advance registration is required for both the competition license program and the Dragster Adventure. 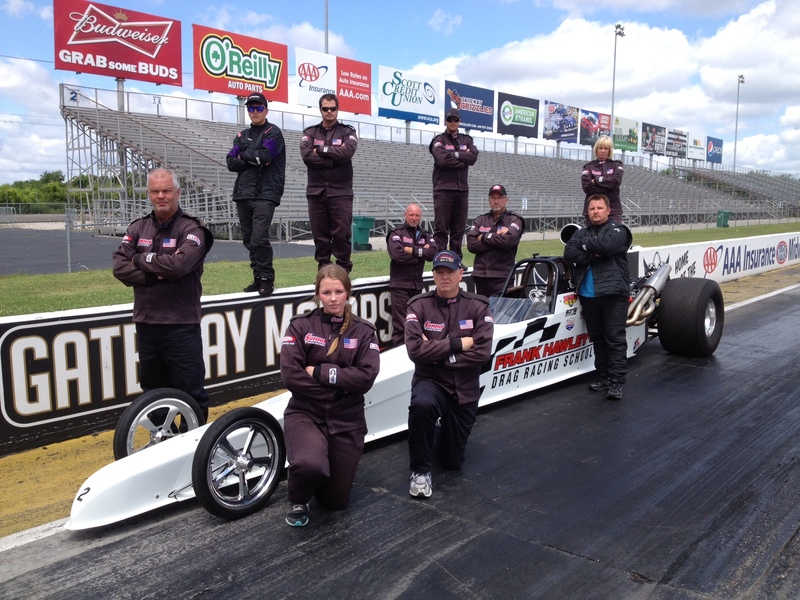 For more information or to inquire about a group for the Dragster Adventure please contact us at 866-480-7223.